Eight years later, magic is finally coming to the MCU. Why has Marvel Studios taken so long to introduce sorcery? How does it work? And where do we go from here? In 2008, Marvel Studios — untested and with a lot to prove — took a gamble and launched the Marvel Cinematic Universe. At the time, it was a nearly unprecedented concept: Marvel's greatest superheroes would coexist as part of one phenomenal film narrative. But for all the risks Marvel was willing to take with the MCU, one was off the table: the introduction of magic. They would give us a talking, gun-toting raccoon, but not a wizard. Now, eight years later, magic is finally coming to the MCU. Why has Marvel Studios taken so long to introduce sorcery? How does it work? And where do we go from here? The first two Marvel movies — Iron Man and The Incredible Hulk — make one thing clear: the MCU was born in science. In fact, the stars of those two films are sometimes jokingly referred to as the "Science Bros"! Both Iron Man and the Hulk are firmly rooted in the strange, impossible science of comic books. I mean, this is the kind of science where a genius engineer can whip up powerful exo-armor while held captive by terrorists, or where gamma radiation can cause you to turn into a rampaging behemoth every time you lose your temper! Still, it was science-fiction all the same, and the early MCU went to great lengths to make everything look as vaguely realistic as possible. Perhaps the best example is the care and attention Marvel consistently put into Iron Man's armor, particularly when it comes to flight. The success of Iron Man meant that the future growth of the MCU was guaranteed, and that led to a perplexing question: how would general audiences react to the more fantastical sides of the superhero genre? Marvel was already defying conventional wisdom by portraying comics-accurate superheroes, but were casual fans ready for magic? "Your ancestors called it magic, but you call it science. I come from a land where they are one and the same." 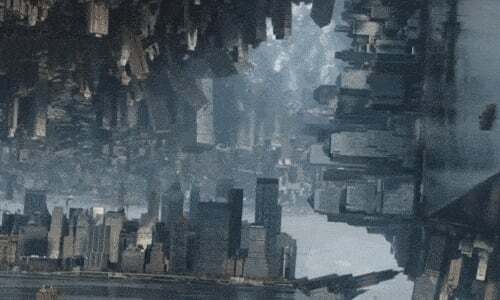 This subtle decision ensured that Asgard could be seamlessly introduced into the scientific world of the MCU ... but where did that leave Doctor Strange? Still, with Thor Marvel Studios had dipped a toe into the ocean of sorcery. The 2013 sequel, Thor: The Dark World, went a bit further. It gave viewers a deeper look at Immortal Asgard and embraced countless aspects of the comic book world. 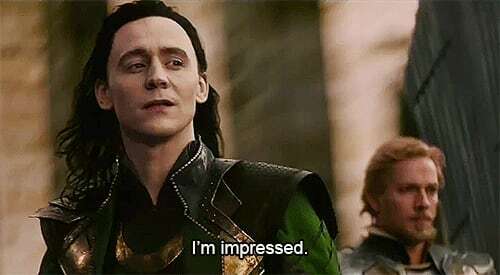 Perhaps the most fascinating aspect was Tom Hiddleston's Loki, who retained his power to cast illusions even while held prisoner; that detail suggested that these illusions were some sort of innate ability, hinting at magic. In March 2014, Marvel Entertainment (which runs the MCU TV shows) gave the first real nod to magic. The Agents of S.H.I.E.L.D. episode "Yes Men" introduced the bewitching Lorelei, played by Elena Satine. Her ability to influence men was hand-waved as "sorcery," quietly adding a new dimension to the show. Thor: The Dark World was hardly Marvel's biggest blockbuster, and a lot of fans see it as one of the weaker films in the MCU. Still, the good news was that nobody even blinked at the increasingly visible supernatural side. The same was true of "Yes Men." Fans didn't even seem to notice the sorcery! Confidence boosted, Marvel made up their mind: it was time to double-down on the supernatural. In October 2014, Marvel announced their Phase 3 slate. It included Doctor Strange, committing the studio to magic and sorcery. Daredevil Season 1 had hinted at the supernatural with nods towards the Hand. In Daredevil Season 2, this became a major plot-thread. In one haunting scene, Rosario Dawson's Claire Temple learned that the Hand are able to resurrect the dead; the series ended with them retrieving Elektra's body to fulfill their own dark purposes. The most notable supernatural push, though, has been reserved for Agents of S.H.I.E.L.D. The series was moved to a later timeslot in order to embrace a far darker style, and this has allowed Marvel to add some fantastic mystical elements — the series has introduced us to Gabriel Luna's Ghost Rider, hinted at the existence of Mephisto, and even unveiled a spellbook known as the Darkhold! In the comics, this ancient book is a powerful and dangerous tome, predating the human race; its spells are responsible for the races of vampires and werewolves. There are literally no limits to the sorcery Marvel could now add into the MCU. Movie Pilot caught up with Marvel at the October 28th Los Angeles event "Science of the Marvel Cinematic Universe," at which scientists from SETI, NASA, DARPA and other institutions — along with Doctor Strange screenwriter Jon Spaihts and executive producer Stephen Broussard — explained the franchise's scientific underpinnings and the challenge of squaring those with magic. It's "not a 'boiling cauldron, eye-of-newt' magic," Broussard said. "It has to do with perception." Astrophysicist Adam Frank from the University of Rochester, a lifelong Marvel fan who consulted on Doctor Strange, said, "It very much is a science issue: what is the multiverse? While we have four forces in our universe [gravitational, electromagnetic, strong and weak nuclear], others may have more. They've taken the idea of other universes with different laws, and worked them into the Marvel Universe." Doctor Strange, it turns out, can tap into these other universes and make their laws of perception apply within our own. "The issue is about consciousness, the nature of consciousness," Frank said, suggesting that fans read David Chalmers's Facing Up to the Problem of Consciousness. "We don’t have a science of consciousness yet. ... Maybe awareness has a charge like atoms, like mass." Spaihts, the screenwriter, finds quantum physics "unnerving," especially the notion that our constants like "pi could be arbitrary — that's bewildering." He muses that "magic might be reaching into other universes where you can 'cheat' with their rules," but we shouldn't get too caught up in rationalizing it. "The Marvel Cinematic Universe has a great relationship with science, but it indulges in fancy." Or, as Frank (who personally doubts the multiverse theory) puts it, "Dude, it's a superhero movie!" So, How Does Magic Work In The MCU? "Marvel has been doing an extraordinary job filming a coherent and consistent universe [based in] science. They keep that science, even though it's not OUR science, consistent in its rules." So the addition of magic needed to fit organically with the science-based universe that we've seen in the MCU to date. From a narrative standpoint, though, there's another potential problem: the danger for magic is that it can act as a deus ex machina, a term that literally means "god from the machine." In literature and film, it's used to refer to a plot device that clumsily resolves a seemingly unresolvable problem. Comic book writers have often fallen into this trap; Doctor Strange has a history of turning up just in time to save the day with a few hurried incantations, much to the irritation of a lot of fans. Marvel's goal has to be to add magic into the MCU in such a way that we don't see it as a deus ex machina; failing to do so would remove any sense of tension from future plots, since the mere presence of a sorcerer would provide a way to resolve any crisis. "Through the mystic arts we harness energy and shape reality." In some cases, where the power is too great to be maintained, sorcerers can plant that power within objects known as "relics." This grants these objects mystical power — the classic example being the Cloak of Levitation. Likewise, some beings seem able to reach across the dimensional barriers and channel their energy into people, neatly explaining the Ghost Rider curse in Agents of S.H.I.E.L.D. Tilda Swinton's Ancient One heads up the Masters of the Mystic Arts, protecting reality itself from dark magic. That's why we haven't seen sorcery in the MCU before now; the Masters of the Mystic Arts are simply that good at their jobs. Unfortunately, the dark entities are still out there, greedy to consume our reality, and some sorcerers aren't content to simply wield the energy of other dimensions; they desire to glimpse them. Mads Mikkelsen's Kaecilius, still grieving for the loss of his wife, sought to pierce the veil of death; in so doing, he and his Zealots entered another dimension and were seduced by the power they found there. The experience of that mystic dimension has transformed them, resulting in those telltale distortions around the Zealots' eyes. In the comics, Marvel has recently taken some pretty drastic steps to reduce the potential deus ex machina problem. In his New Avengers run, Jonathan Hickman established that there's a cost to magic; the more power you wield, the greater the pain — and potential damage to your soul. Jason Aaron has developed this in his current Doctor Strange series. He's revealed that Wong secretly established a group of monks who chose to carry the cost for Strange, while the physical pain Strange experienced has, in fact, become a deadly new entity in and of itself. In contrast, the MCU is setting up a different kind of "cost." As we learned in The Zealot (the official prelude Infinite Comic), the Ancient One has chosen to maintain a library of forbidden rituals. Just the very act of gathering this knowledge leaves it vulnerable to sorcerers like Kaecilius. So in the MCU, the "cost" or "price" is essentially that, as the Ancient One gathers power for herself (however good her intentions may be), there will be consequences. We're already seeing that the experience of another dimension transforms you, and even a brush with these forces can kill; already Ming-Na Wen's Agent May almost died as a result of the "Ghost Infection" in Agents of SH.I.E.L.D. Marvel is now working in a smart retcon that magic has been there all along. It's pretty certain that Thor: Ragnarok will embrace the mystical aspect of the Nine Realms in a way even Thor: The Dark World did not. Meanwhile, MCU mastermind Kevin Feige has indicated that Elizabeth Olsen's Scarlet Witch is in fact a sorcerer; she possesses the same powers as the Masters of the Mystic Arts, albeit in a raw and instinctive way, meaning she has far less control. Over in the TV and Netflix shows, Marvel Entertainment continue to dive deep into the waters of sorcery. The mystical plots are sure to continue in Agents of S.H.I.E.L.D. ; it's practically becoming the defining plot, and the thematic links between Agent May's experience of death and Kaecilius's motivation in Doctor Strange are fascinating. What's more, the next Marvel Netflix series — Iron Fist — is one typically associated with Eastern mysticism. Although we don't yet know what role Signourney Weaver will be playing in The Defenders, we can be certain that it will also feature the return of the Hand. The MCU has always been science-based, but now sorcery has been added to the mix — and yet, it's been done in such a clever way. The hints and teasers we've been given suggest that Marvel has thought this through pretty carefully. The result is, frankly, seamless. Magic is now part of the Marvel Cinematic Universe, and it's sure to stay. Life Is Strange - And This Chloe Price Cosplayer Is Spectacular! Out of Vacation Ideas? How About Taking a 'Game of Thrones' Walking Tour to Winterfell?